CLICK HERE FOR VENDOR APPLICATION! Lark Street between Madison Ave. & State St. Located in the heart of Albany, Art on Lark is the capital city's favorite arts-oriented street fair. Art on Lark is an annual Summer street festival that celebrates local artists & small businesses in Albany. 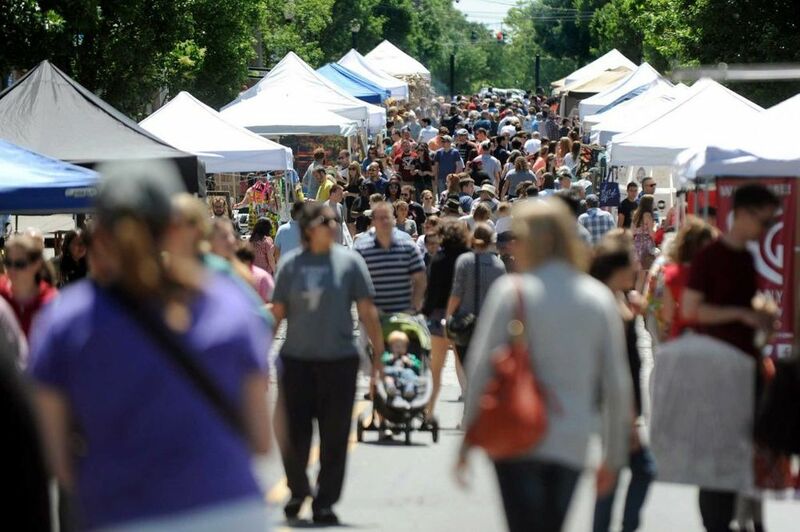 One Saturday each year in June, the city’s historic Lark Street is shut down to traffic and transformed by vendor displays including painters, photographers, jewelers, ceramicists, food, and live music. Shoppers can enjoy all the regular businesses Lark Street has to offer including cafés, restaurants, gift shops and bars, as well as over 50 vendors popping up for the day with their individual booths. With an average yearly attendance of about 10,000 people, Art on Lark is the second largest street festival in upstate New York and has been voted the Capital Region’s Best Arts Event by both the Times Union Readers Poll and Metroland. Art on Lark is presented by the Lark Street Business Improvement District, a not-for-profit organization that serves "to build, sustain, and enhance a unique and prosperous living and business community for the residents, merchants, and visitors of the Lark Street neighborhood of Albany, NY”. Come out to our "Village in the City" for the day and enjoy an eclectic display of Albany's arts district! This is a fun, family-friendly street festival of local businesses, artists, makers, music, and great food! C&C Xtreme Kitchen / CAKE jewelry / Cara Hanley / Castle Green Art Glass Studio / Craftwhere / Custom Built, Inc.
For general event inquiries, you can leave us a message here or email us at larkstreetevents@gmail.com. Thank you! Thank you for your message! We'll do our best to get back to you soon.